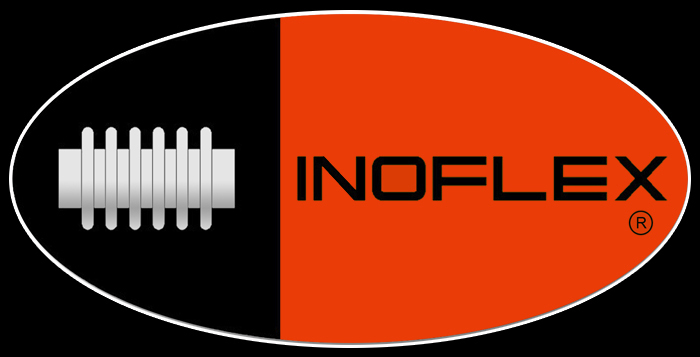 Inoflex expansion joints are designed according to the Standards EJMA, ASME, Boiler & Unified Pressure Vessel Code STAMP U & U2 specifications as per the PED 2014/68/UE Mod.H instructions, and according to the standard EN 14917. 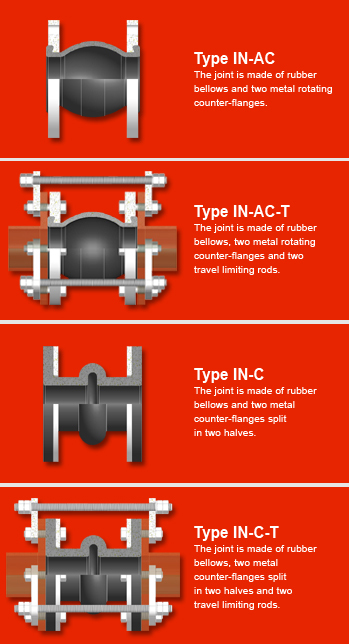 INOFLEX rubber expansion joints are realized using special rubber mixture that can guarantee a very high mechanical resistance and an excellent quality. They are designed to absorb axial and lateral movement and to reduce the piping strains and vibrations. Can be equipped with metal flanges or counter-flanges and travel limiters. 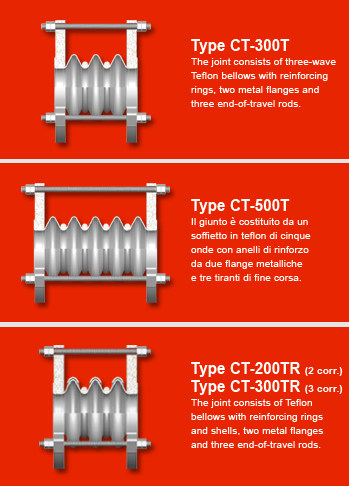 INOFLEX textile expansion joints are manufactured with monolayer or multilayer fabrics and with ecologic materials exempt from asbestos or silicon stuff. The main characteristic of our joints is a very high flexibility, scarce reactions and considerable movements. The utilization of these joints is indicated on pipes in which hot fluids run and the elimination of noise and vibrations is required.We can supply circular, rectangular, conical joints and other shapes of them.